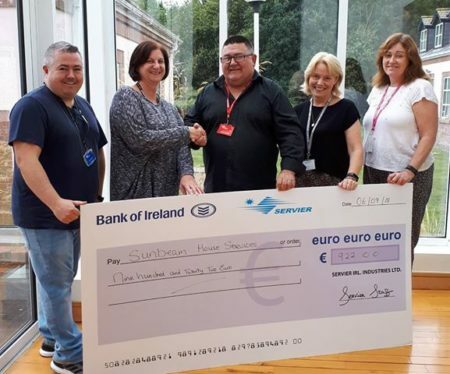 A big thank you to Servier in Arklow who have given funding to our music program. Pictured here are members of the Servier social committee with Sunbeam music instructor Tommy Breen collecting a cheque for €922 which is going towards Filming, sound and lighting costs of our Inclusion concert in November. We will have details of the concert, which is a major event and includes no less than six organisations, in the coming weeks.